What can Career Employment Service, Inc. do for you? That depends on what you need. If you're looking for a job in the Bartlesville area, we can help you find one that fits your skills and personality—and we can place you in a temporary position while we're looking. We invite you to read more about our employment services, or view our current job openings. If you're an employer looking for talented temporary or permanent help, we've got you covered. We have a large database of qualified candidates, and we will advertise and recruit for your specific needs. We offer three placement options: Temporary, Temp-to-Hire, and Direct Hire. You decide which option is best for you, and we'll find out exactly what you're looking for in an employee. Then we'll send you a handful of carefully chosen, qualified candidates for you to choose from. Please feel free to read more about the specifics and advantages of our placement services. Career Employment meets all state and federal requirements. We cover worker's comp and employer's liability for temporary and temp-to-hire employees, as well as withholding payroll taxes. In addition to routine background checks, we can perform any pre-employment screening and testing you require. 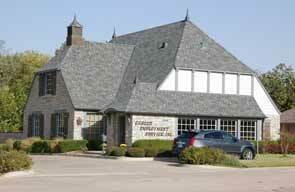 Career Employment Service has been serving the Bartlesville area as a full-service employment agency since 1968. Since then, we have served hundreds of clients and adapted our services to meet the ever-changing requirements of employment regulation. We are also members of the American Staffing Association and Society for Human Resource Management. Both organizations are highly regarded in the industry, and maintain a strict code of ethics. Over the years, we've matched hundreds of employers with qualified, enthusiastic employees. Here's what a few of them have to say about our services. Learn about our services for Bartlesville area employers. Learn about the staff at Career Employment Services.